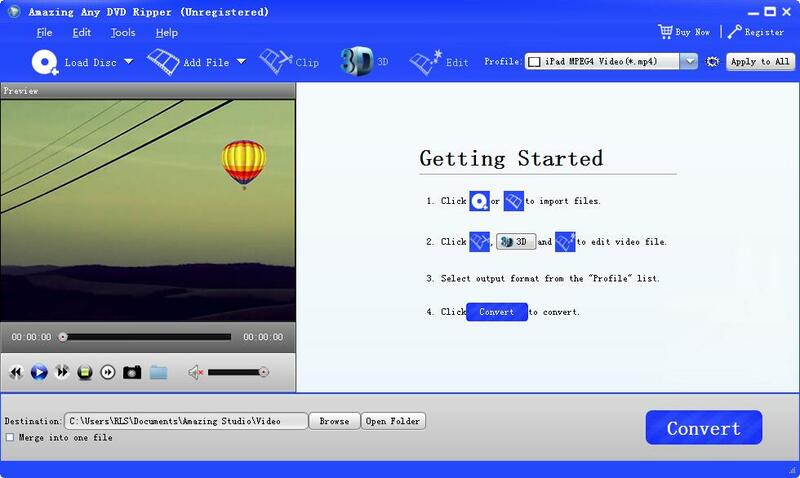 Amazing Any DVD Ripper software enables you to rip a DVD to many video formats like MOV, MP4, MKV, AVI, WMV, VOB, MTS, MPG, MPEG, M2TS, AVI, etc. You can copy and backup a DVD to hard drive, USB drive, local computer and other storage devices. Click "Load Disc" to import DVD Disc, DVD Folder or IFO Files. 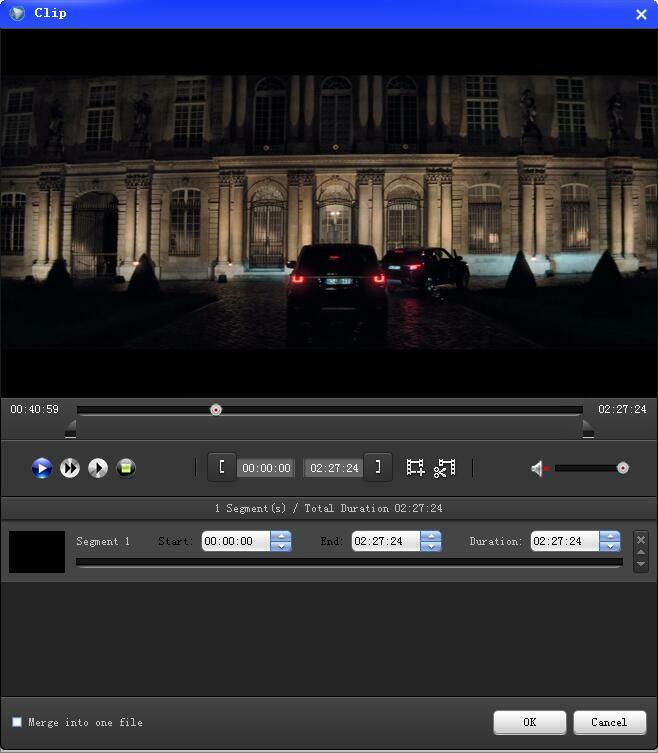 Set the video start time and end time to clip a video. 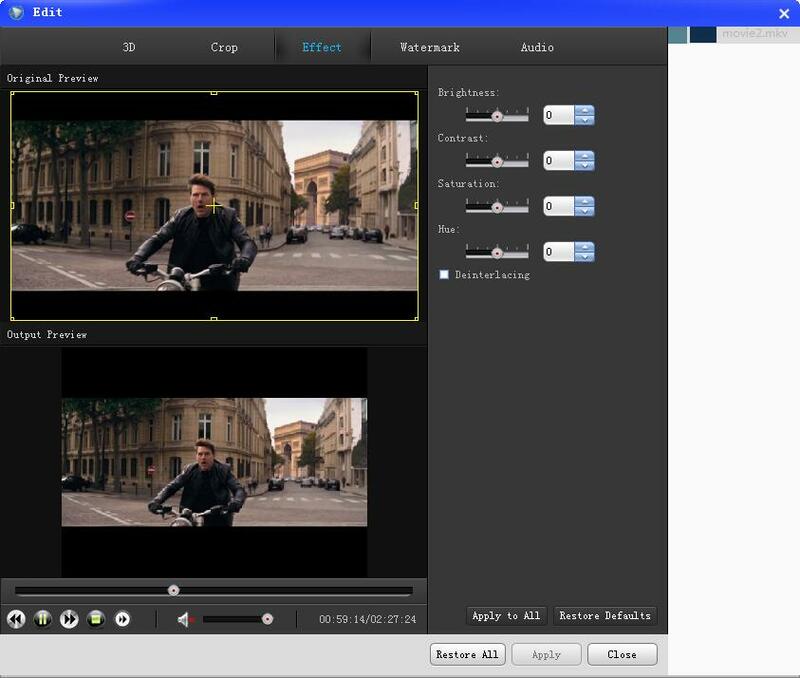 After that, you can merge multiple video files into one. 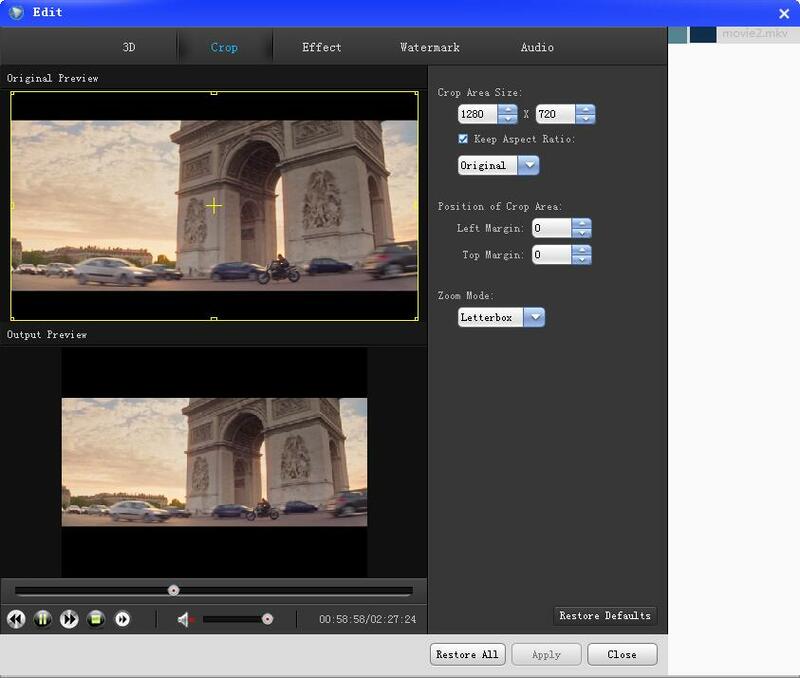 If you want to rip DVD to 3D video format, please enable 3Dsettings first and then select anaglyph and split screen. 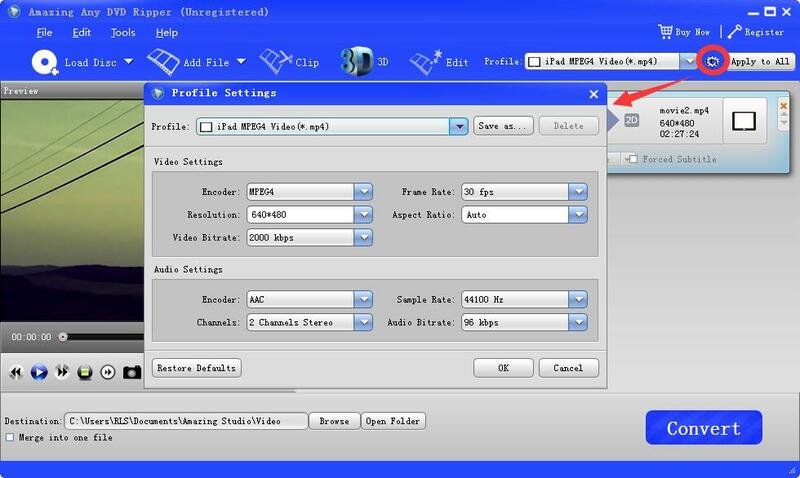 Choose output video/audio format from "Profile" drop down list and then select a directory where you save the file converted. 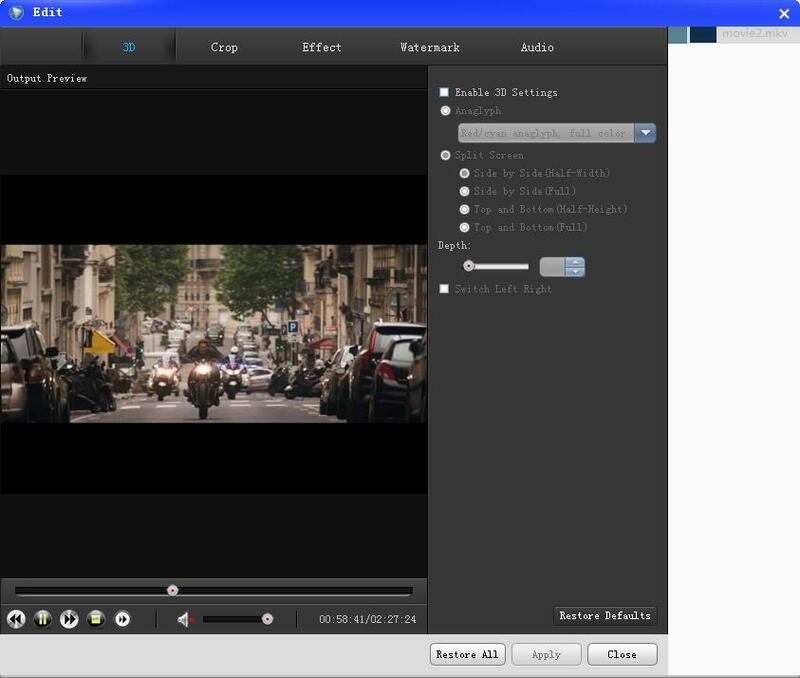 Click "Convert" button to finish DVD Ripping. 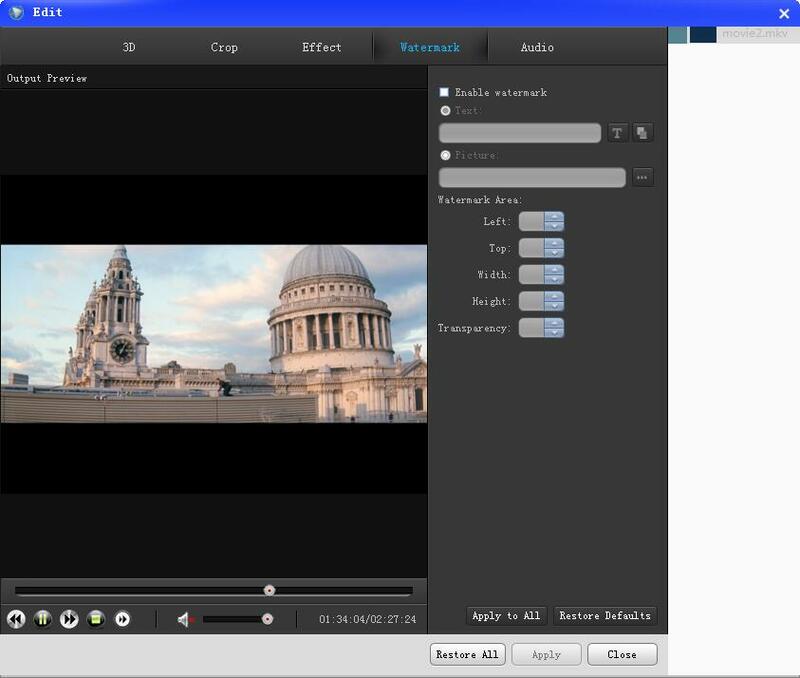 Vanessa - Backup home-made Blu-ray movies, rip Blu-ray to any Video/Audio with Amazing output Image & Sound Quality.